Many times when people think of long-term care they think of long hallways filled with rooms and residents sitting outside their doors watching all the visitors and nurses. The senior living industry has changed this notion completely by creating beautiful resort style communities. 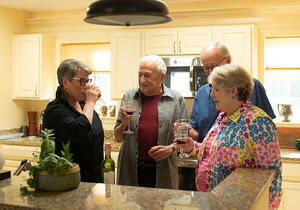 Some of the most popular activities for retirees these days may sound foreign to you. Pickle-ball, for example, is played with paddles on what looks like a badminton court, and has become a craze for seniors who used to play tennis. NPR offers other ideas for senior games such as shuffleboard and horseshoes. These changes go beyond increased options for social activities. Baby boomers have been lobbying for improved care and privacy across the senior living industry. Many assisted living and retirement communities have responded by offering increased responsiveness from medical staff who are more specialized than ever before. Senior Living Communities offer wellness programs, exercise classes and amenities such as a designated fitness room or pool. Many communities have turned these wellness programs into an opportunity to socialize and meet other residents as well to encourage a healthy lifestyle within the community. It is also important to be aware of CARF International. 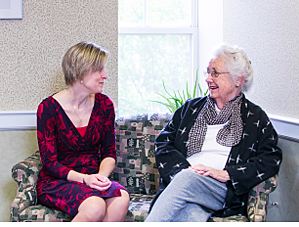 Commission on Accreditation of Rehabilitation Resources (CARF) is an accreditation many senior living communities strive for. This means the retirement community has services in aging services, behavioral health, employment and community involvement and medical rehabilitation. Suddenly, new technology is being sought out by the 50+ generation to stay in touch with friends, children, grandchildren and former colleagues. Many senior living communities have jumped on board to offer computer labs within the community and classes to keep the residents up-to-date with this ever changing industry. Recent studies conclude that older adults who remain intellectually engaged throughout their golden years —through reading and study—have healthier brains. This can significantly delay and/or reduce the cognitive effects of aging. Many facilities even offer lectures from visiting scholars and other professionals. Communities, like Collington, A Kendal Affiliate, are offering services to help accommodate this sort to education. The attitude towards aging is changing. Independent living communities do more than just build upgrades. 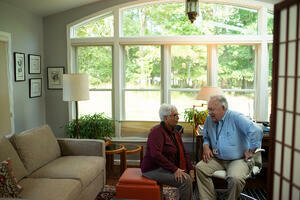 Today’s retirees are increasing the change to a more socially active environment. This is encouraging independent living communities to add more events to their social calendar and increase daily activity options. The ability to give residents socially-engaging and active environments is not considered an added on perk anymore. It is now considered more of a necessity than it has been in the past. 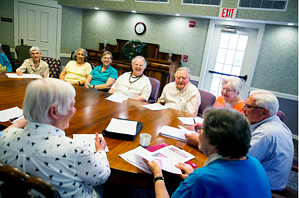 Residents enjoy game nights, movie nights, dances, group vacations and more. The term Continuing Care Retirement Communities (CCRC) is being replaced with the term “Life Plan Communities.” Seniors have begun to realize that moving into a beautiful senior living community at a young age when they are still healthy and having the ability to stay there if their health declines is more beneficial than staying in their own home. As the population grows older, it also grows smarter. To avoid being stuck in a nursing home in years to come, seniors know what lies ahead and many are taking control of their own future and moving into a Life Plan Community as their best choice for a senior living community. Many cultures value keeping their elderly at home with the family, and others have as their point of reference what they remember senior housing to be back in their native land. But now these populations are re-considering the many different options available seeking to accommodate the unique needs and values of an ever diversifying population of seniors. The growth of long term care providers adding diversity services as well as language and sensitivity training is opening up senior housing to groups that would have not considered the option for themselves or a loved one in the past. Successful new communities need to be built on the premise that “aging is all about living.” A feeling of “home” is of complete importance so there needs to be fireplace lounges and libraries. The Wall Street Journal offers tips on space planning and how to downsize. From the comforts and conveniences of your apartment home to the complementary housekeeping and transportation, adult living communities offer leisure time you need to concentrate on living well. Think of it as a luxury cruise, where everything is taken care of for you...for years to come. The key seems to be finding the right community that reflects your personal style, education, and political and personal outlook on life and is within your budget.